Well-known cookbook author and avid blogger Georgia Varozza has collected tidbits of wisdom and hundreds of how-to skills during her life. She’s a master food preserver with a passion for all things natural, time-saving, and simple. Reading this book is like having her as a personal coach to teach you how to be a savvy keeper of your home. After years of use, the baking sheets have built up brown grease deposits. What’s the simpler solution to removing those troublesome spots? Want to grow vegetables from seeds? Make an easy, inexpensive cold frame using hay bales to get them started. Plan that road trip with confidence by taking along this list of car games the kids will love. 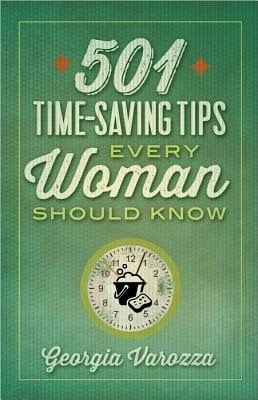 Whether you’re young or mature, married or single, a novice or veteran do-it-yourselfer, you’ll find valuable new skills to take from this book and put to good use. With cheery snippets of inspiration and a Scripture verse tucked here and there, all these tips, tricks, and treasures will cultivate a definite “can do” attitude.